KRAKOW, POLAND - SUMMER, 2016: Market Square in Krakow. Old city. Poland. Shot in 4K (ultra-high definition (UHD)). 4k00:07BANGKOK, THAILAND - NOVEMBER 13, 2015: Tourists visit Chakri Maha Prasat, Royal Grand Palace, a complex of buildings wich has been the official residence of the Kings of Siam since 1782. 4k00:18ROME, ITALY – APRIL 18: Tourists visit the famous St. Peter's Square on April 18, 2015 in Rome, Italy. 4k00:17ROME, ITALY - APRIL 18: Tourists visit the famous St. Peter's Square on April 18, 2015 in Rome, Italy. hd00:11KRAKOW, POLAND - AUGUST 2017: Poland. 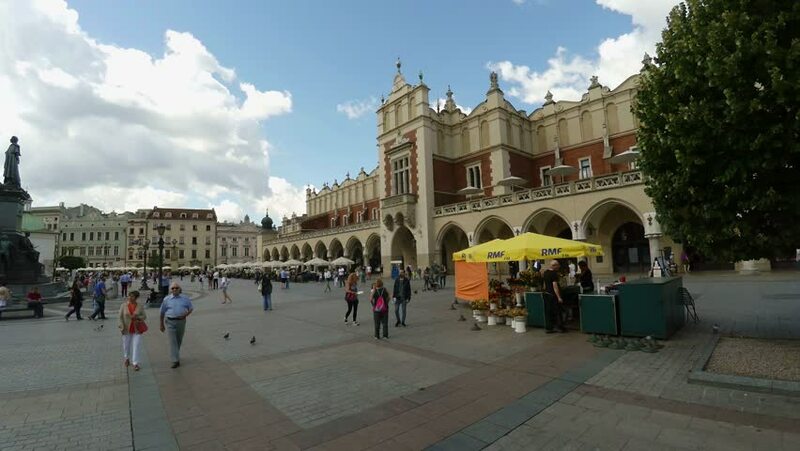 Market square, city center in Krakow.